The man accused of blowing the whistle on the war in Afghanistan is 22 years old PFC Bradley Manning. He was arrested in Iraq May 29, held in solitary confinement and then transferred to Quantico, Virginia. It’s a quiet day in Quantico, Virginia; where one of the states’ many military bases is located. Here, it’s hard to find any kind of opposition to the war in Afghanistan. However, one man’s case has brought out protesters from all over the region to the Quantico Marine Base. Who is Bradley Manning? And if the charges against him stand, what provoked him to become the face of the Afghan war diaries? Chat logs obtained by the military imply Manning was disillusioned by the military, the wars and US foreign policy in general. Some see him as a traitor. Others called him a hero. Regardless of what motivated Bradley to leak the information, those attending this protest in support of Manning agree what he did exposed the lies of war. “There is no secret to the Afghanis or the Iraqis; they know their people are being killed every day. The secrets are hidden from us, the American people,” said Medea Benjamin, Co-founder of Code Pink: Women for Peace and one of the organizers of the event. “He did something truly patriotic, bringing the truth out, something our mainstream media doesn’t do. And unfortunately it’s up to him to do something so brave and daring to actually release the truth to the American people,” said another protester. There were two protests happening simultaneously, one for Manning, the other, against him. While the demonstration was held outside a larger marine base, it didn’t stop former military officers or their spouses from voicing their opinions. “People homeless, no jobs, and we are constantly giving other countries our money for wars that we should be at,” said one local. The activists then marched down the main street of the small town; they were quickly confronted by the local police. But the protest wasn’t only for the man who allegedly blew the whistle; it was for the content of the documents now coined the Pentagon Papers 2.0. While history judged the Vietnam leak as significant, it remains to be seen whether the WikiLeaks documents will leave the same legacy. 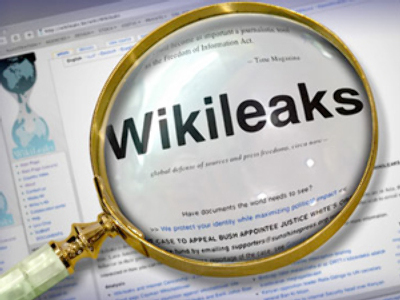 John Young, a former WikiLeaks advisory board member and a critic of the website and its policies these days, explained how WikiLeaks does work and said it is not an easy task to determine the source of the leaks. “There is a very large underground economy in stolen information using the internet for this purpose. WikiLeaks is a part of that – it’s a very small part. But the technology for selling stolen information is very large and very lucrative. Governments do it, cooperations do it, individuals do it. WikiLeaks basically sells stolen information,” he said. Meanwhile, the Pentagon fears classified documents due to be released by WikiLeaks may be even more damaging than those that had been published before. The US military says it knows the nature of the additional 15,000 documents that Julian Assange – the man who runs the website – has pledged to disclose. Last month, it published more than 90,000 documents, creating a stir both with the public and US defense officials. Wayne Madsen, an American investigative journalist and RT contributor, believes that these massive leaks could even be orchestrated by the US itself. “Assange is showing up in news conferences in London, the Australians are saying that they are not going to seek any arrest of him, ostensibly he is an Australian national. So we see a lot of governments, Britain and Australia, not wanting to take any action against him and you’ve got to wonder – is the Pentagon really serious when they are saying we want these leaks to stop. Maybe it’s part of a psychological warfare campaign and we’ve seen the Pentagon wage those successfully in the past. They had many people convinced Iraq had weapons of mass destruction and they never did,” Wayne Madsen says.